Do you feel stuck in a cycle with your child where his behavior isn’t changing—and might actually be getting worse? Many parents think that simply giving consequences should be enough to fix misbehavior. These same parents often end up feeling defeated and are left wondering why the consequences didn’t work. In this two-part series, Sara Bean explains the key to changing kids’ behavior (and it’s not consequences). 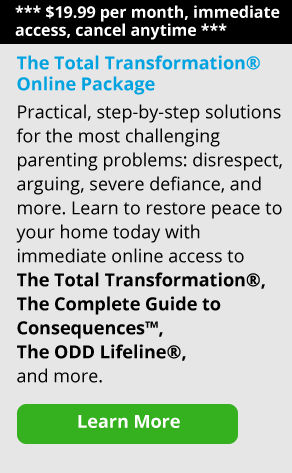 Read on to learn how to parent your child more effectively, starting today. Do you use consequences with your kids and wonder why their behavior isn’t changing? Many parents mistakenly think that consequences alone are enough to discipline children effectively, but they’re not. Many parents also believe that for a consequence to be effective, it has to make their child completely miserable. 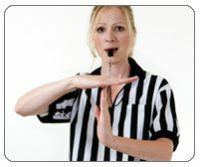 Parents will call parent coaching and say, “I really can’t find a consequence that my teen cares about; nothing stings enough to make him stop acting this way.” As James Lehman said, “You can’t punish kids into better behavior.” Some parents think that kids learn solely by experiencing an unpleasant outcome, but that’s not usually the case. In my opinion, many parents are overly focused on consequences as their primary discipline technique. If this is you, you’ll be giving consequences but will not be seeing any change—stuck in this cycle like a hamster on a wheel until you start to see your role as a parent differently. You’ll be doing all sorts of hard work and using up a lot of energy, but not really getting anywhere. James Lehman’s three effective parenting roles lay the foundation for holding kids accountable by giving parents the necessary perspective and skills they need to teach their kids better ways to behave. Let’s be clear: we mean “teaching” here in quite a literal way. We want our kids to learn new skills, what James called “replacement behaviors.” For example, if you have a child who typically gets verbally abusive when you ask him to do chores, you need to teach him another way of handling things instead of calling you foul names or screaming at you. What it really comes down to is this: you can tell your child to stop doing something until you’re blue in the face. You can take away any and every privilege they have for weeks or months at a time, but if they don’t know what to do instead—or even understand what else is acceptable—the negative, abusive behaviors are just going to continue, and you’re going to become more and more frustrated and exhausted. They can be seen as three different sets of helpful skills that you can practice and use together to influence your child’s behavior. It’s important that you incorporate all three on a daily basis, transitioning from one to the other as needed. Be aware that you might be a Limit Setter at one moment and later shift into Problem Solver mode. You don’t want to simply choose one of these roles and become rigid, getting stuck in it for a long period of time without using the other two roles; this won’t be effective. The three roles go together and must be blended and balanced. I’ve talked to many parents who told me that with time and practice, they were able to use all three roles with ease. Today I’m going to tell you more about the critical Trainer/Coach role. When you’re playing the part of the trainer and coach, you’re going to be focused on teaching your child a skill she needs to be successful in life. The Trainer/Coach role asks you to look at where your child is right now. Ask yourself, “What is my child currently able to do?” and coach her forward from there rather than starting at a level higher than what your child can manage. After all, you wouldn’t sit your three-year-old down one day and expect her to write her name all on her own without teaching her first. It’s just not a realistic expectation. Breaking a big, hard task into smaller, more manageable steps is important. Instead of focusing on immediate results and trying to achieve an ideal of perfection, start where your child is and move forward. Make sure the ideals you’d like your child to reach are attainable for her. Remember, as James says, “You have to parent the child you have, not the child you wish you had.” A parent using the Trainer/Coach role understands that children will struggle—and that many times you need to let them struggle. They will experience some discomfort and unpleasant feelings and that’s okay; it’s a necessary part of growing into a responsible adult. Here’s a scenario to show you what I mean. Let’s say a softball coach sees a player having trouble hitting the ball. The child swings and misses, hits a foul ball, and eventually strikes out. The coach doesn’t get in there and say, “Give me that bat; I’ll do it for you.” The coach lets the player get through the situation, lets her feel sad or angry about it and then talks to the player later and says something like, “I know you really want to hit the ball. Here’s what I saw you doing that isn’t helpful; try it this way instead. If you keep trying, you’ll get this. We’ll work on this more at practice tomorrow.” So kids need practice and repetition at home too, just like we do as parents. They need to strike out several times in order to really start to learn new ways of handling their problems. And they need you to let them strike out in most cases. Remember, repetition leads to success. In part two of this series, Sara Bean will explain more about the Problem Solver and Limit Setter Roles, and how to use all three roles to parent your child more effectively to help them change their behavior. Please check your inbox next week for Part 2 of “Why Consequences Aren’t Enough” from EmpoweringParents.com.